Jewels of the Oracle is a niche title for gamers who simply enjoy challenging logic puzzles or games of strategy. 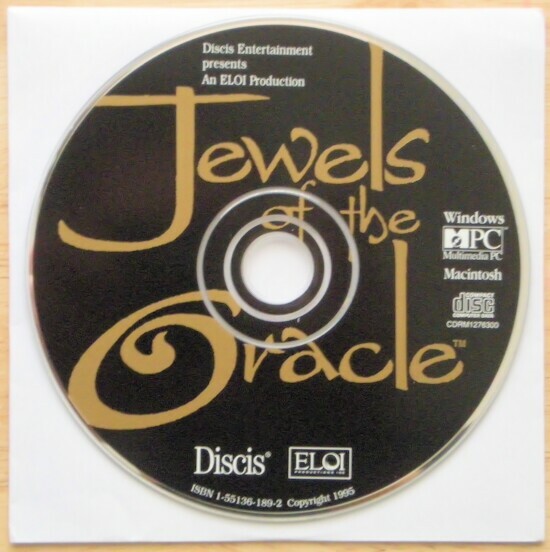 Its success is seen from the fact that several imitators have since been released from different developers and publishers, all claiming to be the true sequel to the cult classic Jewels of the Oracle. Only one legacy remains of the civilization known throughout the Fertile Crescent before the Sumerians. People of extraordinary intellect, their pursuits were of the mind instead of conquering and fighting. They built a secret complex to train and practice their skills of logic and reason. Using technologies and ancient magic long since forgotten, they constructed devices of incredible ingenuity. Those who entered the domain of the Oracle and resolved all the tasks set before them went on to greatness. Those who failed... were lost forever. This structure, lost to the archeological record, has been sought for millennia but never found... until now. You, a supplicant who seeks admission to this lost city, must solve each puzzle laid down by the ancients in the 24 rooms of the domain. Guided by the Oracle, a jewel is rewarded for every success in resolving these tasks. When all the jewels are recovered and placed on the altar in the Oracle Room, the entrance to the lost civilization of the ancients will finally be revealed. The game has 24 puzzles in total. Some are logic based and some are games of strategy. There is no time limit set for each puzzle. 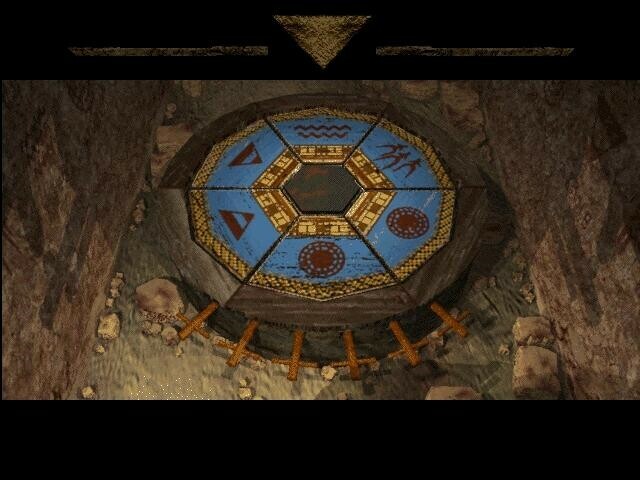 The Well Room acts as a central hub that directs the player as to which puzzles are available to be solved at any given time. The puzzles vary greatly in the level of difficulty. Some puzzles are extraordinarily hard. The game is controlled using a point and click single button mouse. A context sensitive cursor shows the player directions of navigation as well as which objects can be manipulated in the puzzles. The latter function is important because there is no instruction given as to both the rules and objectives of these puzzles. In any given puzzle, the player needs to experiment by touching each piece of the puzzle to see how it reacts. With the power of observation, the player eventually deduces a set of rules used to solve the puzzle. At the beginning of each attempt, the Oracle recites a series of cryptic messages as small clues to the puzzle ahead. A jewel is awarded for solving a puzzle. 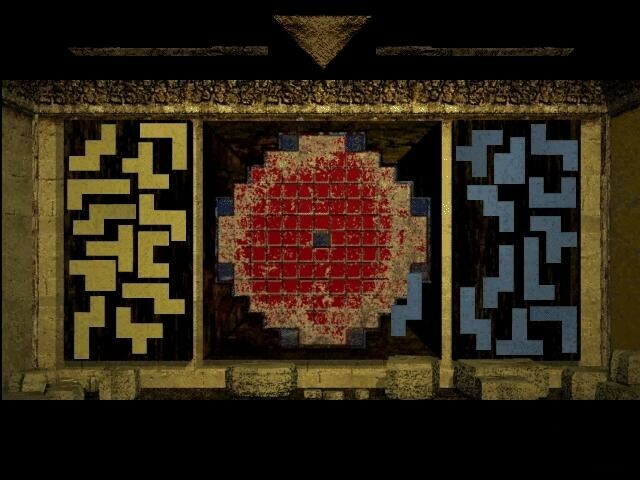 A less valuable jewel is also given if the player declines a particular puzzle. The ending of the game differs depending on the type of jewels collected. There is no doubt that the visual appeal may catch the eyes of many gamers to the point that many will spend countless hours dwelling on a single puzzle which otherwise may have long been abandoned. Part of the appeal also is that the player must figure out the objectives and the rules of these puzzles. These moments of enlightenment are the fixes that many gamers so desperately pursuit. Many of the puzzles are original and not just rehashes of known classics. Some of the puzzles have multiple solutions. Most require strategy rather than brute force. As some of the puzzles are set up randomly, they play differently each time the puzzle is restarted. Subtitling is available. There is no limit to the number of saved games. An option is available for the player to decline a difficult puzzle in order to move on with the game. Two possible endings to the game exist, depending on whether or not the player has completed all the puzzles. Jewels of the Oracle has a number of significant drawbacks. It is not surprising that in this type of game design the story merely serves as a superficial backdrop for the placement of the puzzles. Not only the puzzles stand isolated from the story, they also stand isolated from each other. The clues given by the Oracle are utterly useless. The game has minimal replay value once the puzzles are solved. Furthermore, the beautiful graphics and animations eventually lose their appeal. The slow animations of the puzzles place unnecessary delay on the impatient gamer. For all the effort the player puts into this game, the ending is far too short and uninspiring. 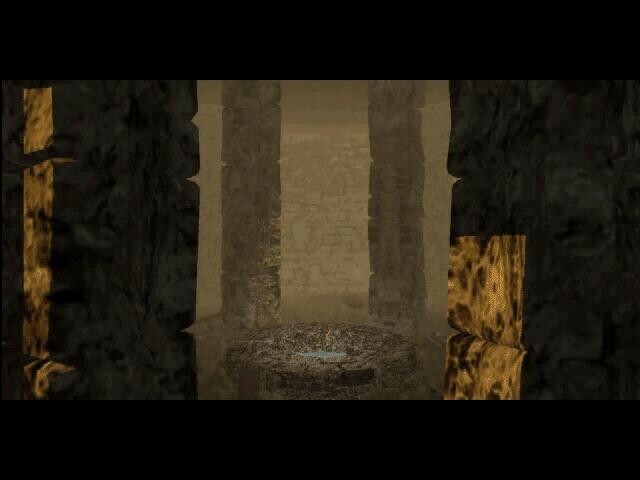 It simply shows a small video clip of the player's entrance into the deserted city, with the ability to only look around in a 360° direction but not move elsewhere. In fact, it leaves the player puzzling as to the whole point of the story that has been so elaborately created.